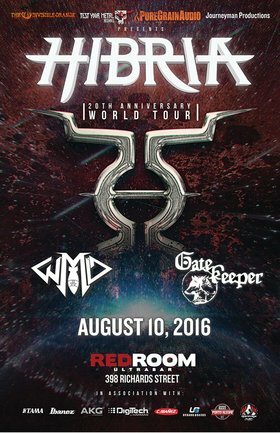 Metal band HIBRIA, formed in 1996 in Porto Alegre/Brazil, has been recognized worldwide, both by the media and the audience, after the release of the stunning debut album “Defying The Rules” in 2004 and a highly successful journey began. With a lot of attention in their home country, the band was able to establish itself as superstars in Asia and especially in Japan, where each of their albums ended up in the Top 100 charts and where they are easily able to fill the largest venues at their live performances for over a decade. Meanwhile HIBRIA is a real international force and a hot contender when it comes to climb the global metal throne.